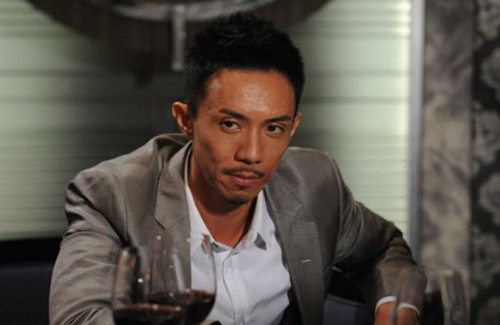 A series of successful dramas and performances put Louis Cheung (張繼聰) back on the radar. After his breakout performance in 2013’s Inbound Troubles <老表，你好嘢！>, Louis continued to prove that his strengths with Gilded Chopsticks <食為奴>, Black Heart White Soul <忠奸人>, and Raising the Bar <四個女仔三個BAR>. Portraying a wooden and awkward trainee barrister in Raising the Bar, Louis’ kind heart won the hearts of many female characters in the series, including the four young leads Grace Chan (陳凱琳), Jeannie Chan (陳瀅), Moon Lau (劉佩玥), and Stephanie Ho (何雁詩). Getting along very well, the four girls decided to establish a fanclub for Louis. Louis is currently filming the drama Momentary Lapse of Reason <收規華> with Tavia Yeung (楊怡). His wife Kay Tse (謝安琪), is currently filming Blue Veins <殭>, starring opposite Kevin Cheng (鄭嘉穎). Both Louis and Kay are too busy for family time, but he believes one should not use time as a measurement.